Tetsuya Mizuguchi, founder of development studio Enhance, trying out a PlayStation VR at a Tokyo game show in 2016. 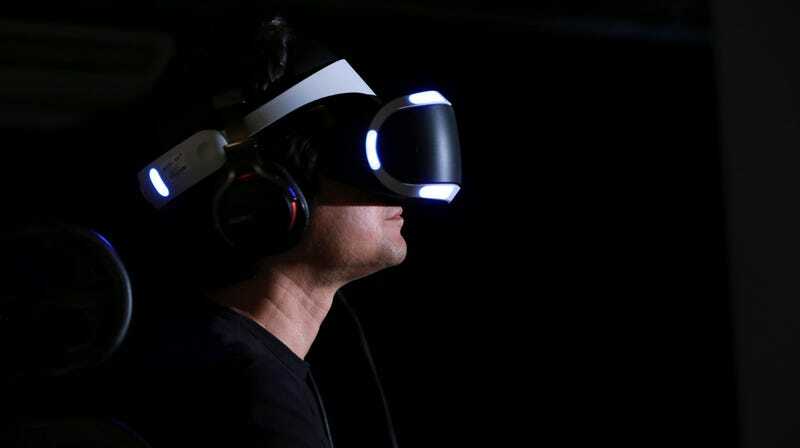 Sony has continued to do well in the virtual reality space, and has sold a grand total of 4.2 million PlayStation VR systems worldwide, the company announced in a blog post on Monday. That’s total units actually bought by consumers, not just shipped. As VentureBeat noted, recent estimates have put Sony well ahead of the competition, with industry firm IDC writing that it pegged PS VR sales at around 463,000 in Q4 2018, beating out Oculus Rift (300,000) and HTC Vive (230,000). The main advantage that the PS VR headset has over the competition is that it is natively supported by its namesake console, which is the most popular on the market and driving massive revenue for Sony. Meanwhile, Oculus and HTC headsets require pricey computer setups—PC Mag’s lowest-spec recommended graphics card, the GTX 1060, costs over half as much as a PS4 Pro by itself. PlayStation is also a globally recognized gaming brand with numerous developer partnerships. The publisher has leveraged those relationships to bring big-name VR experiences to the PSVR first. That includes hits like Tetris Effect and Resident Evil 7. And that’s on top of its first-party efforts like Farpoint and Astro Bot: Rescue Mission. Sony announced the 4.2 million number as part of its State of Play video event today. During that presentation, the publisher revealed a number of new PSVR games and release dates. PS VR’s success has also positioned Sony to do well when the next generation of consoles is announced. The next PlayStation is already under development and is expected to be announced in the next few months, though the ultimate timetable for when the system will be released remains unclear.